a. Development of globally competitive industry. b. Enhancement of India’s R&D and Design capabilities. c. Encouraging the development of synergistic sectors. 'Our defence forces require timely and cost effective acquisition of defence equipment to enable them to meet any challenge to the country's security. The emerging security scenario is very challenging. Nobody can say what will happen in some of our neighbouring areas. India will have to be fully prepared, our armed forces will have to be fully prepared to meet any challenge from any quarter and they must be able to protect every inch of Indian territory' avers the Defence Minister. The scope of the offset Policy Guidelines has been expanded to include Civil Aerospace, Internal Security and Training within the ambit of eligible products and services. The List of the Eligible Offsets includes most aspects of the Civil Aerospace, including ac, both fixed wing and rotary, air frames, air engines, ac components, avionics, ac design & engg services, ac material and technical publications, flying and technical training institutions. And a wide range of weapons and services for counter terrorism for ‘internal security’. All this will provide wider range of offset opportunities, and help build the indigenous capability. The government of India (GoI) aspires to transform the defence industrial sector so that it can achieve a 70% level of selfsufficiency from domestic sources. At the same time, GoI currently maintains a ceiling of 26% on foreign direct investment (FDI) in the defence industrial sector, with some exceptions permitted for project-specific joint ventures and for dual-use activities. Raising — and eventually removing — this 26% ceiling would be an important enabler in bringing about the transformation that GoI seeks, avers Mr Julian Scopes, President, BAE Systems, India. Strategic Analysis is the bimontly journal of The Institute for Defence Studies and Analyses (IDSA), New Delhi. It is a forum for independent research, analyses, and commentaries on international and regional security issues that have policy relevance. It is a paid journal. Click: http://idsa.in/saarchives/38/2 for coverage. Visit Routledge, an imprint of the Taylor & Francis Group, UK, for subscription. It is now available online. Defence Procurement Procedure 2002 was promulgated on 30 Dec 2002 by the Ministry of Defence, Govt. of India. The issues of greater transparency in the defence procurement, and cutting down delays in acquisitions have been the thrust areas with the Govt. of India for some time now. Based on the experience gained in implementing the Defence Procurement Procedure 2002, the Govt. issued a Defence Procurement Procedure in Jun 2005. It has now been further updated in Aug 2006, and the 'Defence Procurement Manual' released. These amendments are to be incorporated to the existing DPP-2008 in relevant pages/paragraphs as mentioned and will take effect from 01 Nov 2009. The Week in Review is IDSA’s newsletter containing a brief analysis of important events. It is an intelligent reporting of events worldwide with special reference to India. It covers Country Reviews of South Asia, East and Southeast Asia, West Asia, Central Asia, Russia and USA ; Defence Review ; Internal Security Review , and UN Review. TTT Defence & Aerospace Development Company (TSDADC) , a 50:50 JV, based in Tucson/Arizona, USA between Tucson Transatlantic Trade Inc. Holding Group, USA, (www.ttthg.com ) and Svipja Technologies, will support development of JVs, Offsets, TTs, e-Procurement, etc, globally with India focus. www.DefenceOffsetsIndia.com , www.IndianDefenceIndustry.blogspot.com & www.IndianDefenceIndustry.com , a Global Solution for Offsets, is a private initiative. It has India focus with global orientation. Is internationally recognised. We are seeking OEMs/Strategic Partner(s) who could take equity position in the Offset Sites & Exchange ; may be in fulfillment of its offset obligations. We like to associate with partners who take the long-term view of business partnerships rather than being influenced purely by short-term revenue/financial results. These Sites are DOFA / MOD eligible suitably redesigned with their inputs. Consolidated FDI Policy India, Effective from 01 Apr 2010. Under Revision. FDI in Defence Industry is permissible up to 26%, under Government route subject to Industrial license under the Industries (Development & Regulation) Act 1951. Licence applications will be considered and licences given by the Department of Industrial Policy & Promotion, Ministry of Commerce & Industry, in consultation with Ministry of Defence. Cases involving FDI will be considered by the FIPB and licences given by the DIPP in consultation with MOD. We need to understand China well in order to understand its 'vision' and 'dynamics'. The best way to enhance understanding on China is through the views reflected by the authorities, media, academia and people of China, as well as from its diaspora and neighbourhood. China News Digest aims to serve this pupose. South Asia Trends is a fortnightly newsletter on South Asian affairs. The purpose of the newsletter is to provide a panoramic view of important events that shape and impact the politics of the subcontinent. The effort would be to inform our readers of the domestic, regional and international repercussions of the political debates and diplomatic engagements that take place in South Asia. Asia Defence News is a monthly print-media Journal which articulates Asian point of view on 'Asian and World Security Affairs'. It is a publication of 'Asia Defence News International'. FreeMarketsDefence.com brings You the full text of the Asia Defence News online. Please Register with Us to access the Magazine. Defence Services purchase & use every conceivable Product & Service – including those of Your Company. In addition to 'Commercial-Off-the-Shelf (COTS)' equipment and MRO products for use by the units and formations, our defence personnel need personal electrical & electronic gadgets, clothing , home furnishings, travel and insurance services. Transparency in procurement in Govt., Industry, PSUs, OFB, DRDO, Units and Formations, within the security constraints results in optimal management of resources, and adds to the effectiveness of leadership. It is important that we encourage our Industry/Units/Formations to use e-Commerce tools in conjunction with the existing procedures to take advantage of the ICT till e-Commerce fully develops within guidelines issued by the Central Vigilance Commission, Govt. of India, and Departmental Instructions and Procedures laid down by various Ministries. 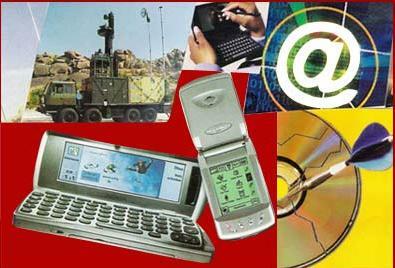 B2B Portal and e-Marketplace like www.FreeMarketsDefence.com / www.IndianDefenceIndustry.com facilitate e-Commerce adoption in our Organisations. Govt. has mandated to develop an advanced government-wide IT-enabled system, after re-engineering existing business processes where necessary, covering all aspects of government procurement, which may include development of an e-Government Procurement (e-GP) portal providing links to various stakeholders in the e-GP for services such as registration of vendors, accessing details of procurement made, tenders awarded, tenders advertised etc. And development of an IT-enabled “exchange or e-Marketplace” linking various Government agencies in need of procurement of goods and services on the one hand and the vendors/service providers and the e-procurement service providers on the other. The United States and India have entered a new era. We are transforming our relationship to reflect our common principles and shared national interests. As the world's two largest democracies, the United States and India agree on the vital importance of political and economic freedom, democratic institutions, the rule of law, security, and opportunity around the world. The leaders of our two countries are building a U.S.-India strategic partnership in pursuit of these principles and interests. In order to bring about greater transparency in procurement and tendering processes, there is need for widest possible publicity. There are many instances in which allegations have been made regarding inadequate or no publicity, and procurement officials not making available bid documents, application forms etc. in order to restrict competition. CVC encourages Organisations to use websites for e-tendering, e-procurement, e-payment, etc at the earliest. CBW Magazine, ‘A Journal on Chemical and Biological Weapons’, is the publication of the Institute for Defence Studies and Analyses (IDSA). The magazine was launched in the year 2007. It is a quarterly magazine. The Indian Air Force’s bid to acquire 126 Medium Multirole Combat Aircraft (MMRCA) has got a push. The Defence Ministry has issued “the letters of invitation for flight evaluation trials” to six companies that are vying for the $10-$12-billion contract. They are the European Aeronautic Defence and Space Company(EADS), which pitches in with Eurofighter Typhoon, America’s Lockheed Martin (F-16 Falcon) and Boeing Integrated Defence System (F/A-18F Super Hornet), Russia’s Mikoyan (MiG-35), Sweden’s Gripen (JAS-39) and France’s Dassault (Rafale). US-India Relations are moving towards a positive direction. US-India have signed a 'New Framework for the US-India Defence Relationship' on 27 Jun 2005. This marks the beginning of a 10 year defence alliance with strategic implications. We need to continuously move forward by clearing 'mist' in our relationship for a wider good of our people, and the global community. This would improve the quality of the relations, and boost economy.